At Wellness Doctor we pride ourselves in working with a multitude of natural therapies and approaches when it comes to most modern day ailments. Whether you have a musculoskeletal complaint or concerns with anxiety or chronic fatigue, Dr. Kremer often utilizes his massage therapists, acupuncturist, exercise specialist, or nutritional therapist to work synergistically with one another to offer the most complete treatment plan. This also fits well into place when dealing with Digestive Health. Dr. Kremer has focused much of his Functional Medicine expertise in the area of the Gastrointestinal system which oftentimes works well in conjunction with Acupuncture and even therapeutic massage, especially when addressing gastric motility or IBS that is worsened by stress. Dr. Kremer's approach often involves specialty lab testing through stool, urine, breath or serum. Based on findings and the review of an extensive health history and physical exam, he will address any dietary changes, specific supplementation, and lifestyle factors based around Functional Medicine's 5 R Program. An optimal functioning digestive system is the keystone for good health. Without a healthy gut, you have an increased risk for autoimmune diseases, heart disease, cancers, food sensitivities/allergies, thyroid dysfunction, skin conditions, chronic fatigue, fibromyalgia, and the list goes on. If gastrointestinal health is not first addressed, all other treatments or medications simply cannot "fix" the underlying problem. 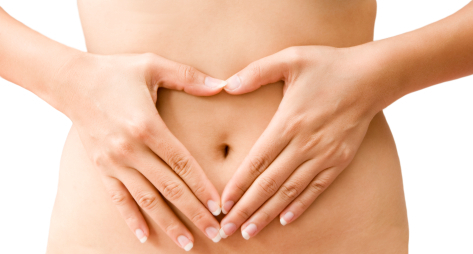 Did you know about one in three Americans suffers from a variety of gut problems? Two of the top best-selling drugs in the United States are prescribed for gastrointestinal problems. And nearly half of all visits to internists are for “functional bowel disorders,” such as reflux and irritable bowel syndrome. Many physicians use the word “functional” to describe problems related to the function of the gut (situations where the intestinal tract simply isn’t working properly), as opposed to “structural” disorders, which are something a gastroenterologist can see on an endoscopy or colonoscopy such as blockages, ulcers, hiatal hernias, villous atrophy (Celiac Disease), etc. and therefore are often considered more “real". But functional gut disorders are equally real problems with very real causes and often with serious consequences. Traditionally, when an individual is dealing with intestinal discomfort or constipation they might present their concerns with their family care practitioner. Oftentimes they are given a prescription medication such as Prilosec or a laxative and sent home. When this problem or irregularity continues to cause problems and concerns, the patient is likely to be referred to a Gastroenterologist who will likely look for and address any "structural" problems with surgery, more medications, or tell the patient to not eat wheat (in the case of Celiac Disease). Don't get me wrong, these practitioners are highly skilled and educated gastrointestinal technicians, and that's what they get paid for...performing these procedures, not addressing diet or the gut microbiota. As of recently, the microbiota (AKA- gut flora) is now being looked at as an entire organ comprised of tens of trillions of microorganisms, including at least 1000 different species of bacteria and more than 3 million genes. It works as a detrimental barrier to the outside world, allows for the absorption of nutrients into the body, helps with the production of some vitamins (B and K), and is a very large component of the immune system. As infants, we are born sterile (no intestinal bacteria) and through a natural vaginal birth and coming in contact with mother's skin, breast milk, etc., we begin this crucial colonization of microorganisms. Problems with this "organ" begin when it is under significant stress, through antibiotic use and other medications, and poor diet not allowing proper nutrition for the gut flora.When this becomes imbalanced, dysbiosis occurs. Dysbiosis is directly linked to health problems such as functional bowel disorders, inflammatory bowel disease, allergies, obesity and diabetes. Therefore, a healthy functioning gut leads to a healthy functioning body. At Wellness Doctor, this is where patients get answers. This is where Dr. Kremer will perform a very in-depth History and Exam and address family history, triggers and mediators for when and how problems started and how to correct them- through finding the ROOT CAUSE. It seems like such common sense to use this approach, and there is typically no need for extensive invasive procedures or long term use of medications to benefit the pharmaceutical industry. So who really benefits when addressing the often simple root causes? THE PATIENT. The most important of the 5 R’s and the key to any effective diet, detoxification, or disease prevention or treatment program; this phase involves the removal of harmful chemicals, pesticides, food additives and many common allergy/sensitivity producing foods, (such as dairy, gluten, and soy) that may lead to poor health. Sound familiar? If you’re Paleo, you’ve already accomplished this step! In some cases, “remove” may also refer to parasitic infection, candida, viruses, etc. Digestive enzymes or insufficient levels of hydrochloric acid (HCL) are key when it comes to proper digestion of food. The best indication of this is when a person experiences bloating, gas or reflux upon eating. If these symptoms are present, including HCL and/or digestive enzymes with meals may help immensely in promoting proper digestion. This refers to bringing back good or “friendly” bacteria. This can be done through the use of well researched and medically documented probiotics and properly fermented foods. These friendly bacteria improve intestinal immunity, restore healthy gut flora, intestinal barrier function, and essentially improve the function of the entire body! 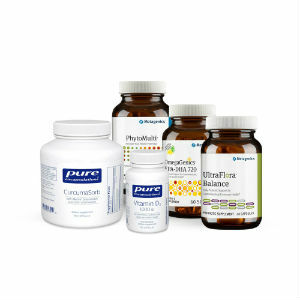 The restore phase focuses on promoting the proper repair of the intestinal lining. GI mucosal cell regeneration is a natural process that can be supported by an anti-inflammatory diet (such as a Paleo Diet) in addition to targeted anti-inflammatory nutraceutical support. Improve Lifestyle Factors such as diet, sleep, exercise and stress levels which can all affect the GI tract. These areas also address inflammation, detoxification, and immune function which synergistically help out and balance all systems of the body. From a nutraceutical standpoint, I recommend adding EPA/DHA (fish oil), Vitamin D3, curcumin, and additional antioxidant support to help optimize a healthy balance.